Manchester United manager Jose Mourinho has revealed that he could play Anthony Martial and Marcus Rashford during Tuesday’s Champions League tie versus Benfica. The pair have taken their turns on the left wing this term with Mourinho reluctant to play them together in the Premier League and Champions League games. In the lead-up to the Benfica match, the Portuguese tactician hinted that the duo could start alongside each other, although it is not possible in every outing. “We played Marcus and Anthony together at Swansea one week ago so yes they can play together. That’s no problem. What we cannot do is play with 12 men, and we cannot play with everybody at the same time,” Mourinho is quoted as saying on United’s official website. Mourinho has opted for a much-changed 3-4-1-2 formation in recent wins over Swansea City and Tottenham Hotspur, and there is every possibility that United could lineup in the same fashion. 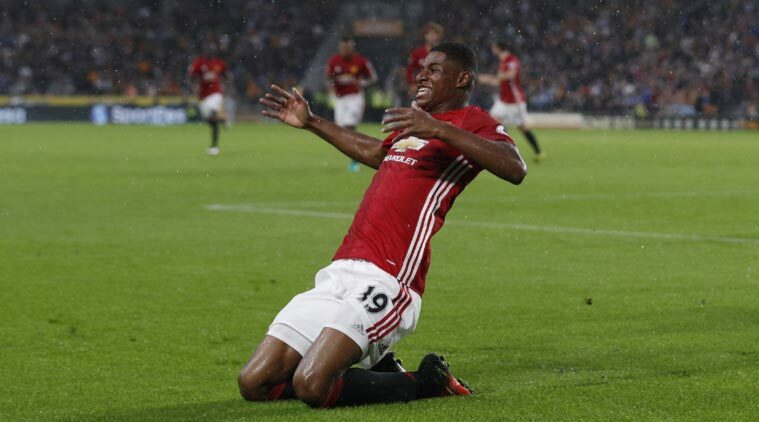 Should this be the case, Rashford could potentially start in the number ’10’ position with Anthony Martial and Romelu Lukaku likely to play up front in a two-striker partnership. Lukaku has failed to score in five appearances for Manchester United in the month of October, but the gaffer has insisted that the Belgian’s position remains ‘untouchable‘ following a strong start to his Old Trafford career.